SnapCalc does the math for you. Just snap a picture of a math problem, and voila — the answer is displayed on your screen. 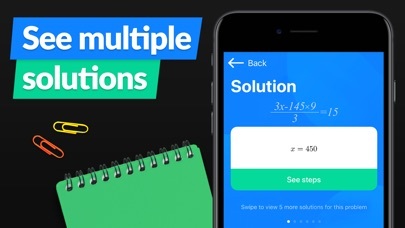 From algebra to calculus, the app has solutions to a wide range of topics – and it recognizes handwritten problems too! 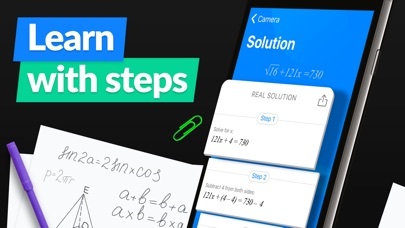 Learn more quickly and easily with step-by-step explanations so that next time you’ll be able to solve the problem yourself – as easy as one-two-three! 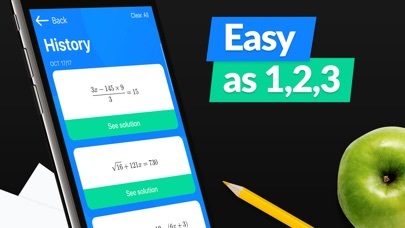 SnapCalc will become your mathematical lifesaver – finish your homework faster, prepare better for tests and make getting those high grades less stressful. Not so strong in math or just need some extra help with it sometimes? SnapCalc is for you. Handwritten problem? No worries – SnapCalc recognizes both handwritten problems as well as printed ones. Save your results in “History” tab so you can go back to them anytime. 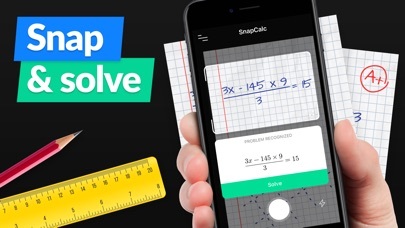 Math is hard – but with SnapCalc, it’s never been easier.